he could employ the skilled workers in leather, heirs of a centuries-old tradition. 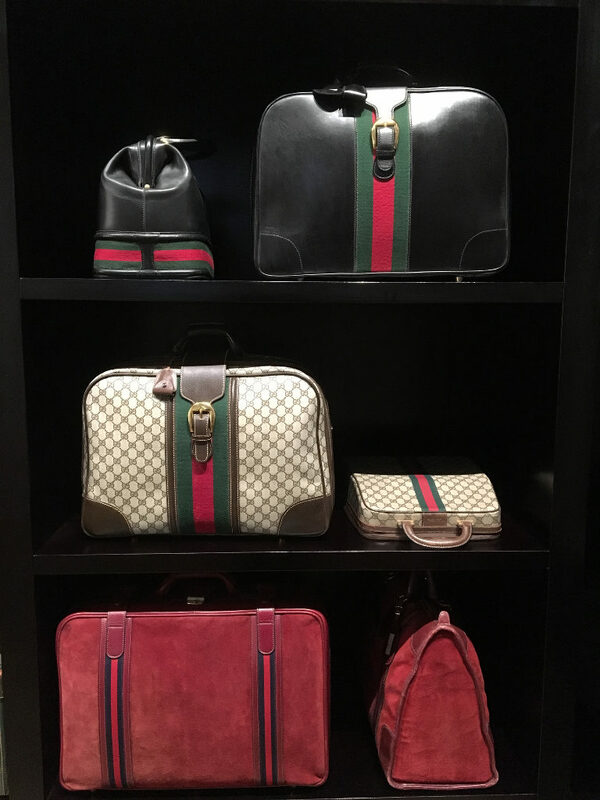 While working at the Savoy Hotel in London, Guccio had been very impressed by the luxurious luggage brought in by the hotel guests. 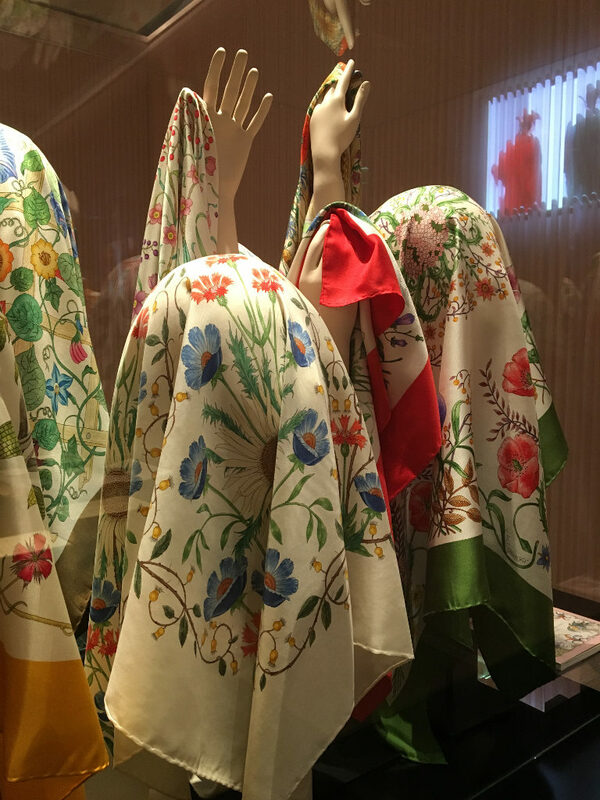 Three sons expanded the company to open stores in Milan and Rome, and, after World War II, in New York. 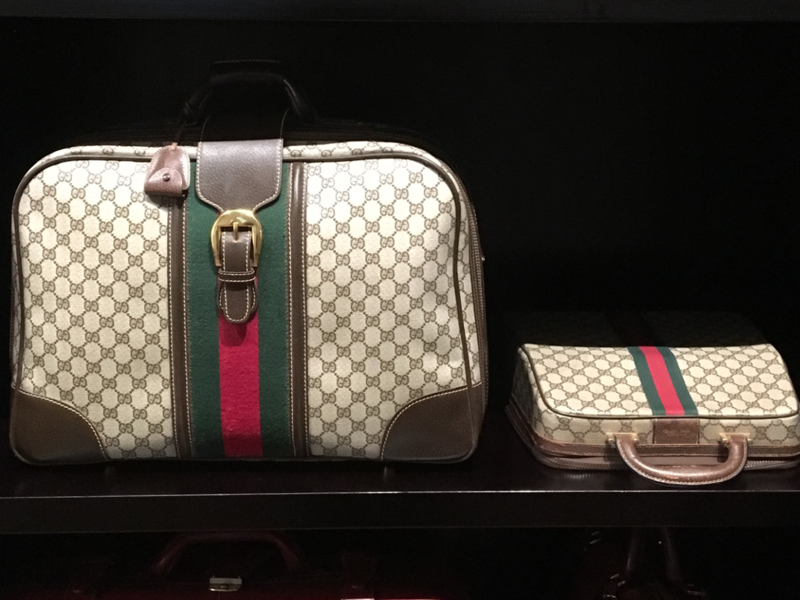 During the ’50s and ’60s movie stars or Jet Set travellers posed in Gucci’s clothing or accessories making the Gucci brand world famous. 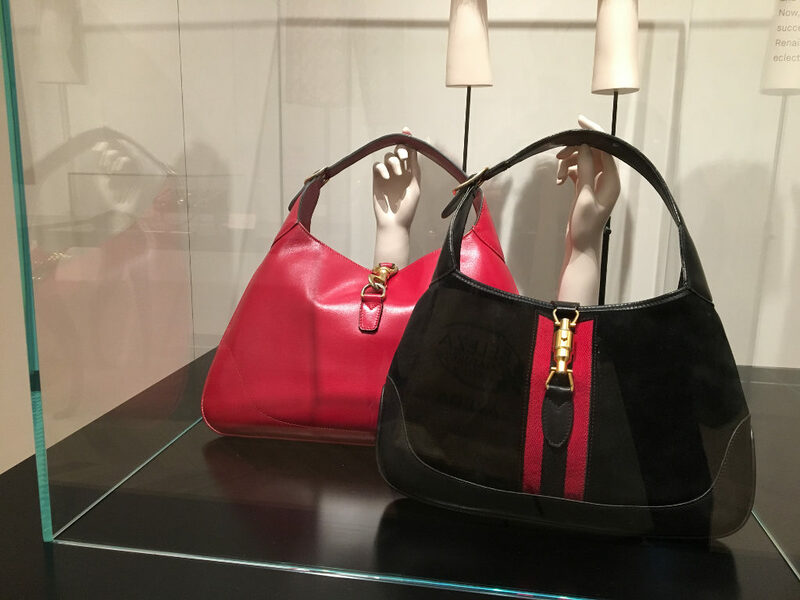 In the ’90s the company decided to move back the headquarters from Milan to Florence, where its craft traditions were rooted. 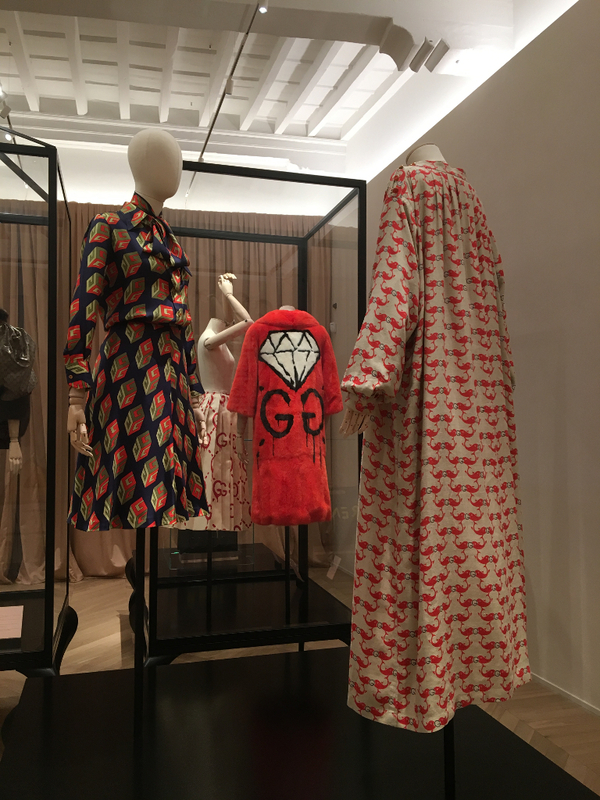 To underline the tight link with the city of Florence the House Gucci decided to celebrate the 90 years anniversary of the brand opening the Gucci Museum in the medieval Palazzo della Mercanzia. 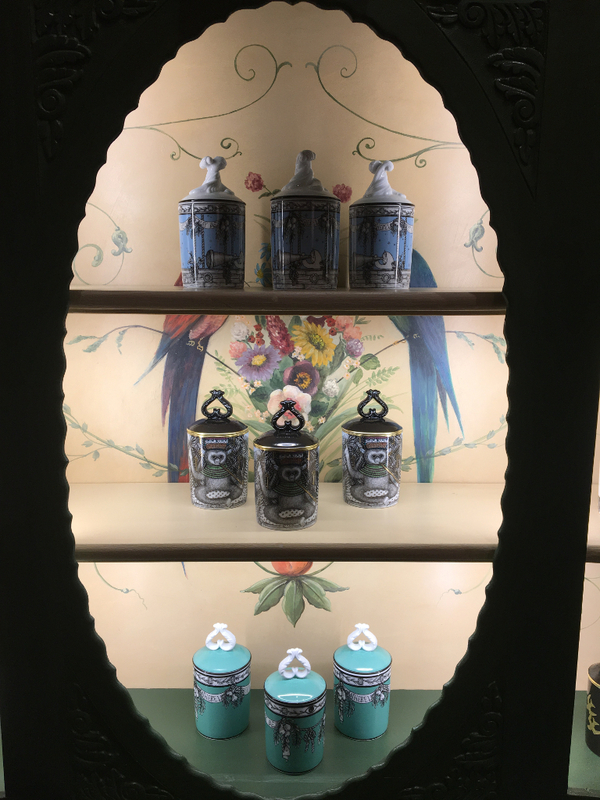 On last January 10th, during the fashion show Pitti Uomo, the House Gucci inaugurated the new space Gucci Garden, conceived by creative director Alessandro Michele. 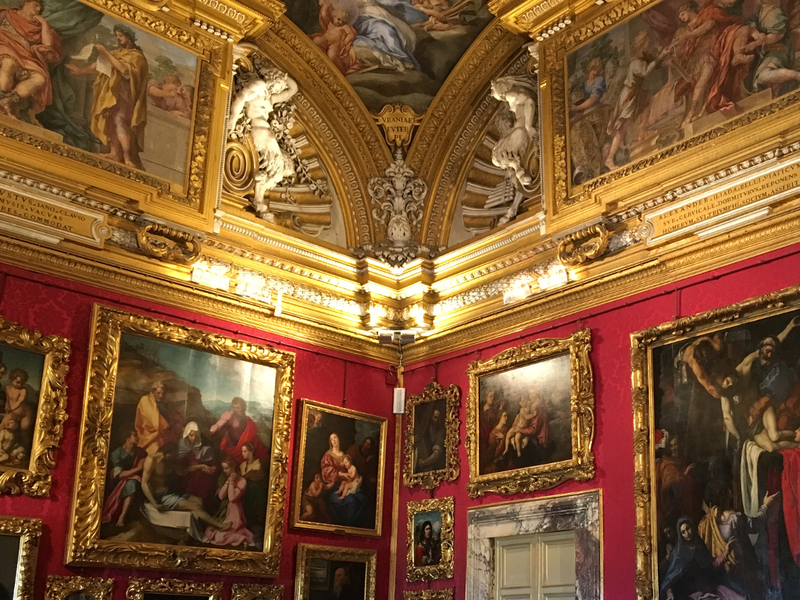 The historic Palazzo della Mercanzia, two steps from Palazzo della Signoria, after being closed for more than one year for the renovation, is now hosting this vital and colourful new display, replacing the former Gucci Museum. 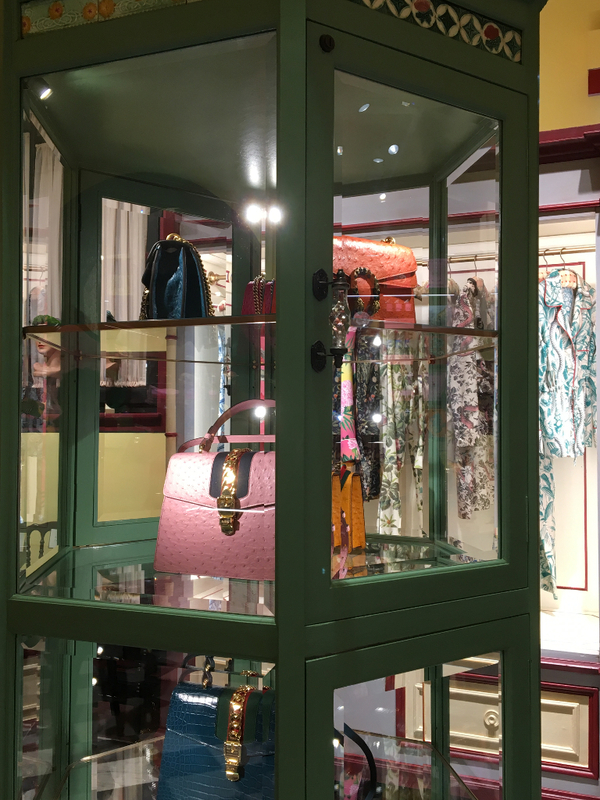 The renovated gallery is divided into a series of rooms, the Gucci Garden Galleria, curated by Maria Luisa Frisa. 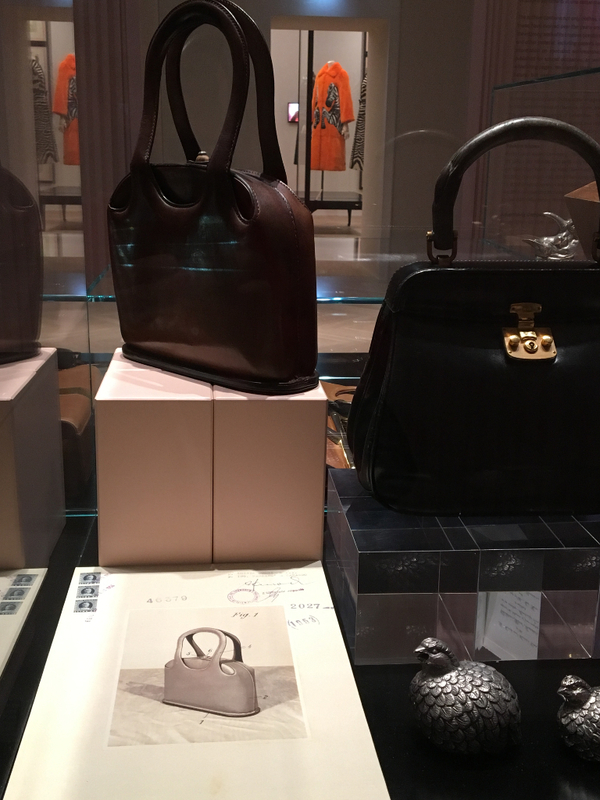 The exhibition is a journey in the Gucci world over the past decades up to the collections of the present time, from advertising campaigns to crafts and skills that contributed to the brand Gucci. 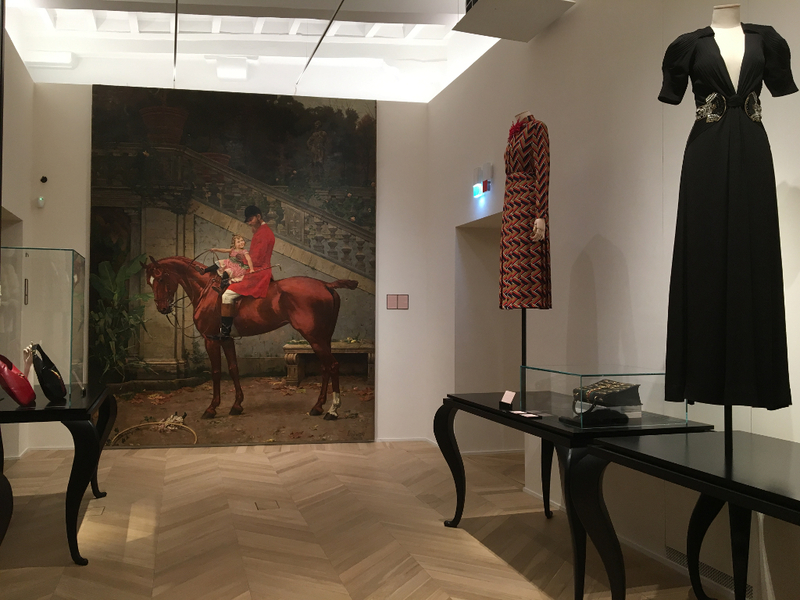 On the second floor the rooms are dedicated to nature, gardens and animals, a real explosion of colours, flowers and energy, reflecting Alessandro Michele’s exploration of nature. 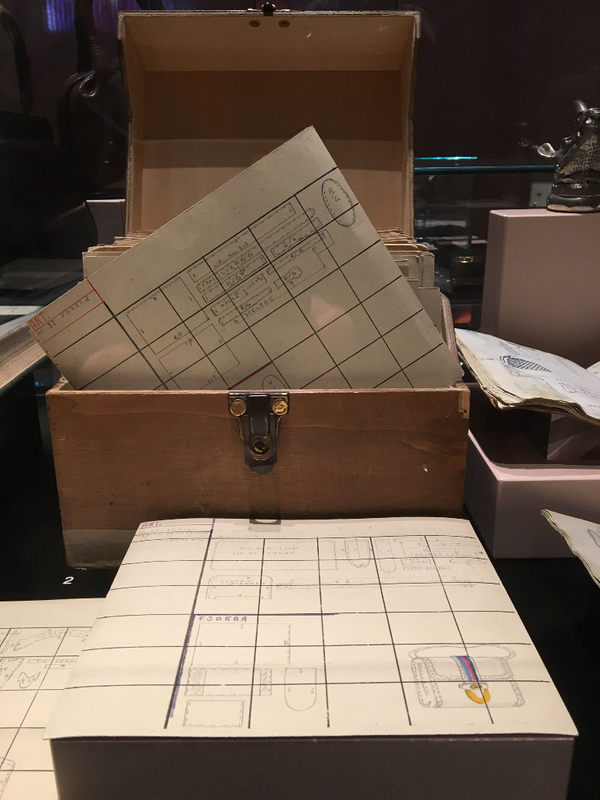 In the Ephemera room you can find objects, sketches, notes and memorabilia that belong to the archives and the almost century old history of the House. 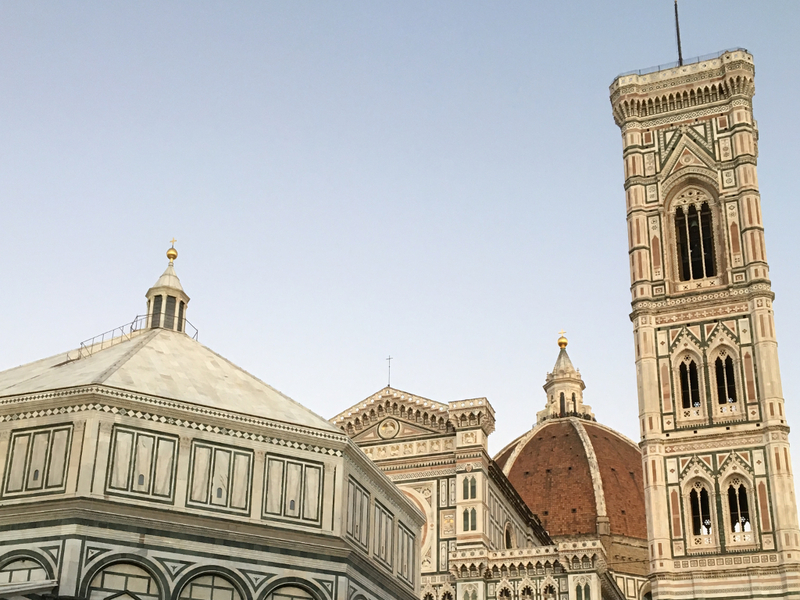 The new restaurant, the Gucci Osteria da Massimo Bottura, the three-Michelin-star chef of the Osteria Francescana in Modena, has raised a lot of curiosity among the Florentines. The menu combines ingredients of the local tradition and creativity. 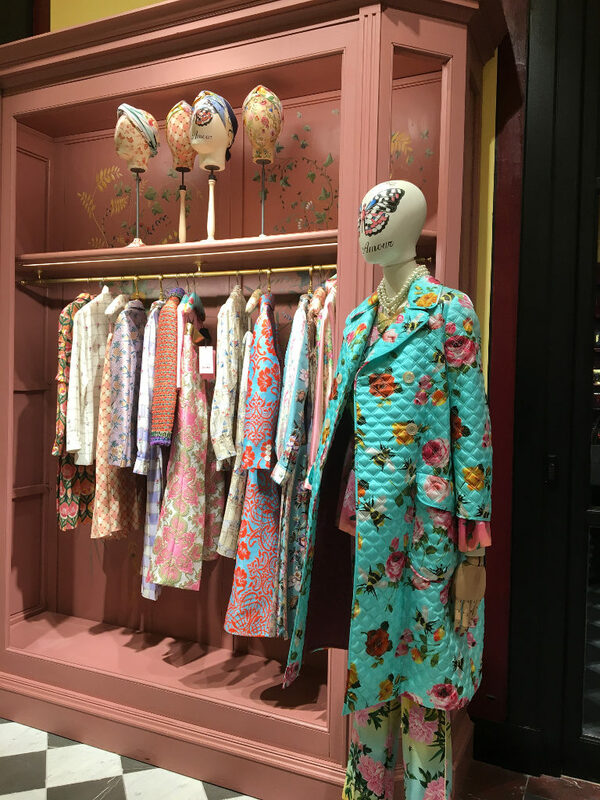 In the store, where you can buy unique items, you are immenses in the same vital and joyful energy permeating the new space Gucci Garden, a place between Imagination and Reality!